Here is a list of all the postings Mike Etheridge 1 has made in our forums. Click on a thread name to jump to the thread. I had a similar problem on Saturday with my 57 year old KK New Junior 60. In the past it flew straight off the drawing board as a free flight model with ED Racer power or with single and later two channel radio. As the nylon had rotted, I decided a few months back. 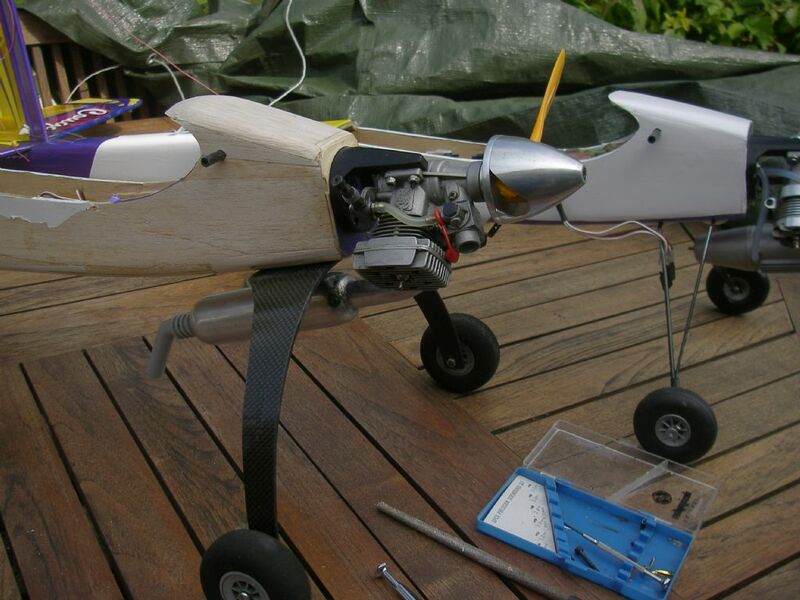 to refurbish the fuselage and add an elevator to the tail plane . Once complete it was obvious that the C/G was out so I changed the Racer for a heavier OS 20 . The C/G seemed about right , but the plane must have been slightly tail heavy, and was blown over on it's first take off attempt which damaged the sub-fin. The next flight was hand launched and the plane stalled badly and was uncontrollable. Fortunately with an engine cut it came down without further damage. So I need to add further nose weight , It already has 8 ounces, and mend the sub-fin and try again. 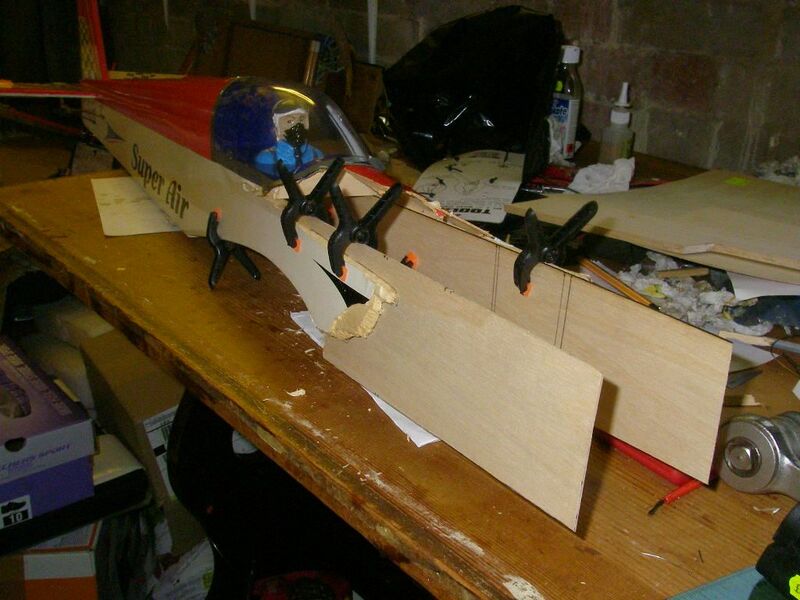 I have the feeling i should not have modified the plane which has flown well at the Nationals 'Chuck and Duck'. i shall be watching it, but only last week just as it was getting dark a drone appeared over my house in Sanderstead South Croydon and followed a route similar to a previous fly over some months ago. We do get plenty of air traffic over the house which includes planes landing at and taking off from Heathrow and Biggin Hill airports. I cannot believe how high and far the drone flew and it cannot be that the pilot could see the drone directly. It seems the famous Chris Olsen used the banded on Dural undercarriage on his last Uproar model. As mentioned by others the Super 60 was designed with a banded on Dural undercarriage. I must admit I prefer permanently fixed under carriages as rubber bands do not last very long it seems. Thread: Supermarine Swift: All sheet pusher prop. They have got a Swift at the Tangmere museum. I have got a couple of photos of it but only of the cockpit and tail plane. 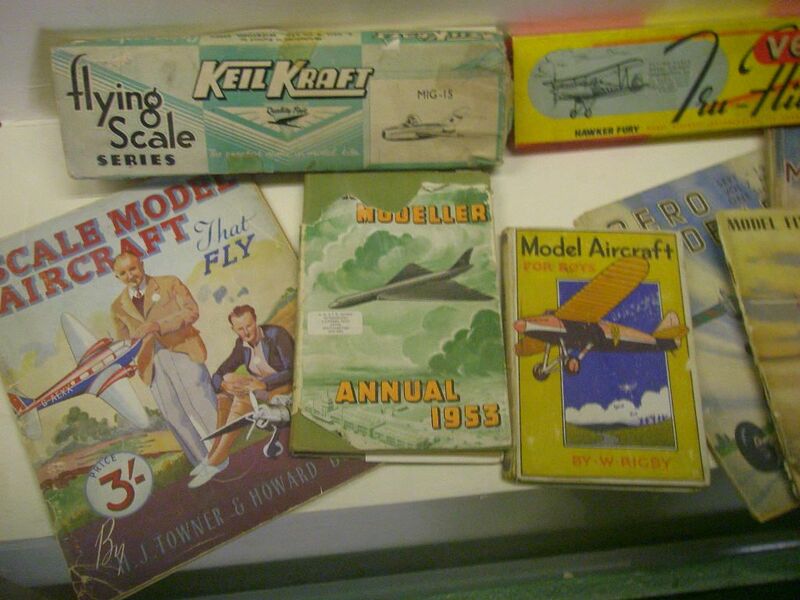 My Keil Kraft Jetex Swift just did not work in the 1950's but I assume others managed to fly the model ? 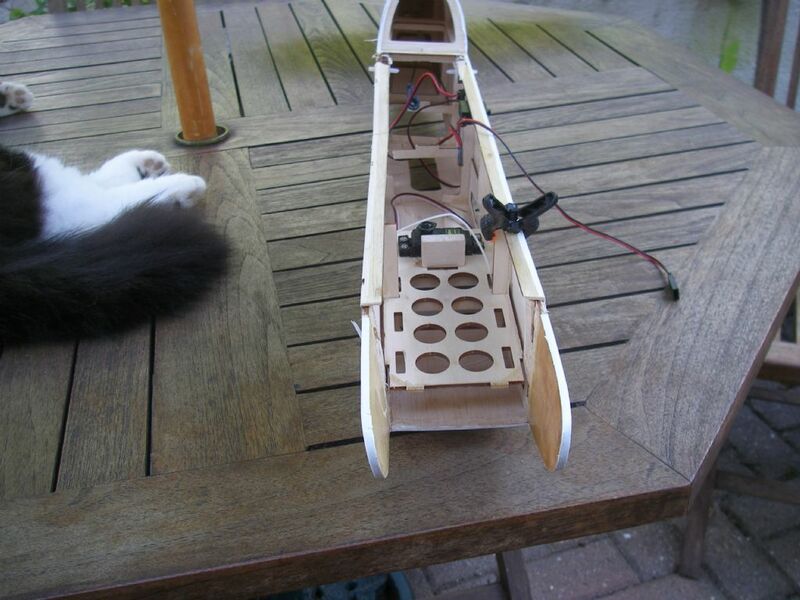 David, this is shown on the instruction page dealing with the aileron wing. The angle between the wing torque rod ends is not set to 90 degrees. That is the torque rod end that you link the control horn to is set at about 45 degrees to the torque rod end that you stick into the balsa aileron. A diagram makes more sense as indicated in the instructions. Could be worse, I used to work with an Electrical Clerk of Works / inspector Eddie,who was Boy George's uncle. One Sunday Eddie was working live on his up-stair lighting circuit at home to fit up a dressing table luminaire (Light Fitting ). His wife called out that his dinner was ready, which distracted Eddie who managed to touch a live terminal and blew one of his fingers off. He still suffered pain some years later. DT, I can E-mail you the plane instructions if you wish ? I may well have acquired the same model last year which I refurbished, but have not got a clue to it's identity. It's parked next to my refurbished Super Air. When I crashed my old Easy Rider I smashed the Paxolin engine bearer that was supporting the Enya 45 . I got some replacement Paxolin from Nexus models-do they still exist ? 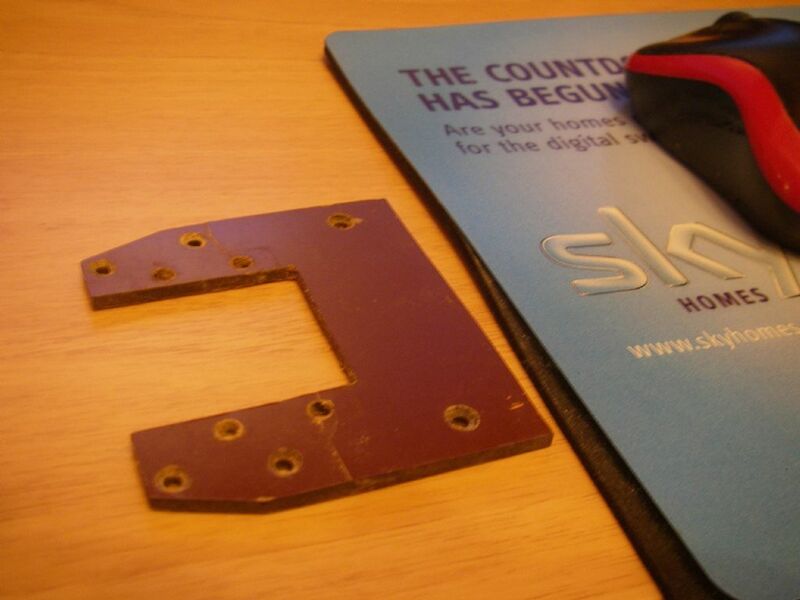 Anyhow i have just checked the thickness, it is 1/8 inches or 3mm. I can't understand why I have got a made up bearer and which plane it is for ?-Having checked, it has two cracks so it must be the original bearer. 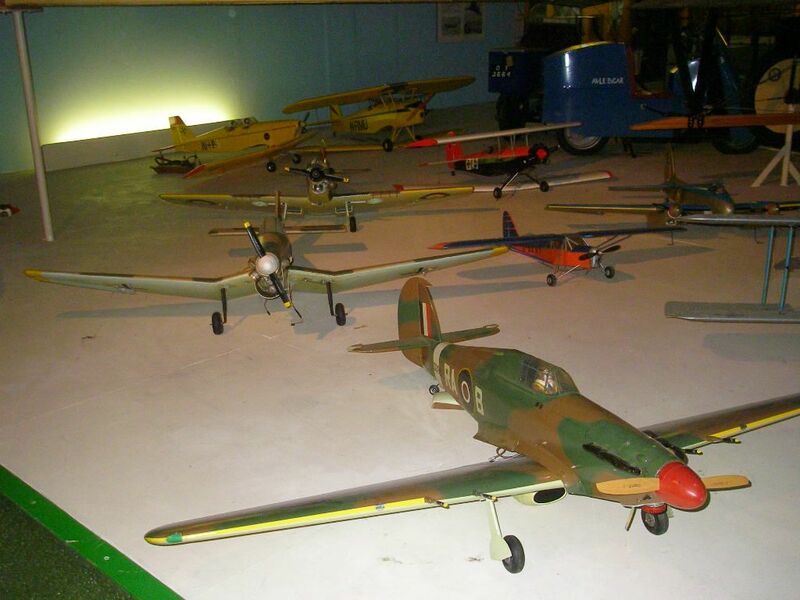 They do have a couple of model aircraft displays at the Solent Sky Museum in Southampton where of course they have full size aircraft and a resident Ghost !. 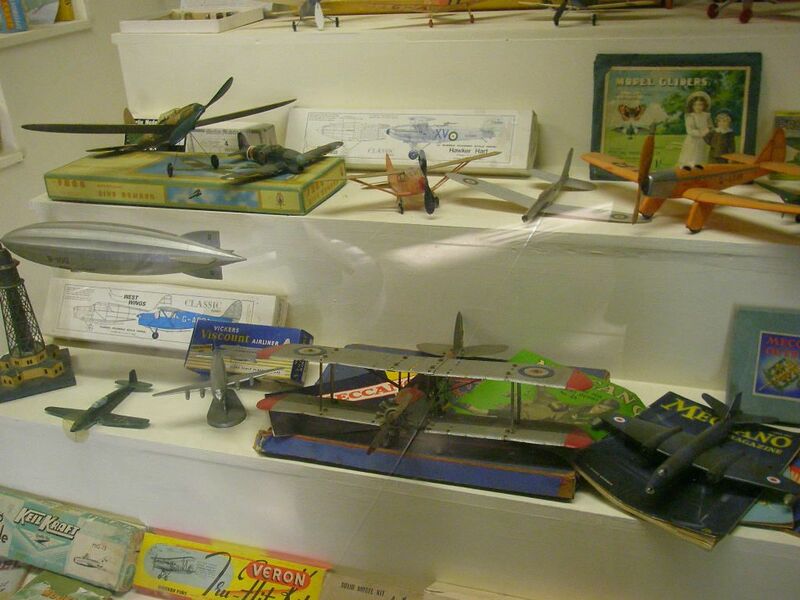 I gather they are sometimes offered model plane collections from families who have suffered a bereavement. When I bought my 4 stroke petrol mower a few years ago the salesman suggested I use specialist petrol 'Aspen 4'. It claims on the plastic container that the fuel is free from Sulphur, Benzene ,and Aromatic Hydrocarbons and it's use means that the mower would require less maintenance. Certainly it appears that the spark plug does not soot up as much as it did in the past with standard petrol in my old mower. The new Chinese mower however is a pig to re-start when hot so I have to try to mow the whole of the lawn lawn prior to emptying the grass box which means I have to keep the grass very short. I wonder if the Aspen fuel which I have seen for sale in Garden centres would have any advantages for petrol model plane engines ? 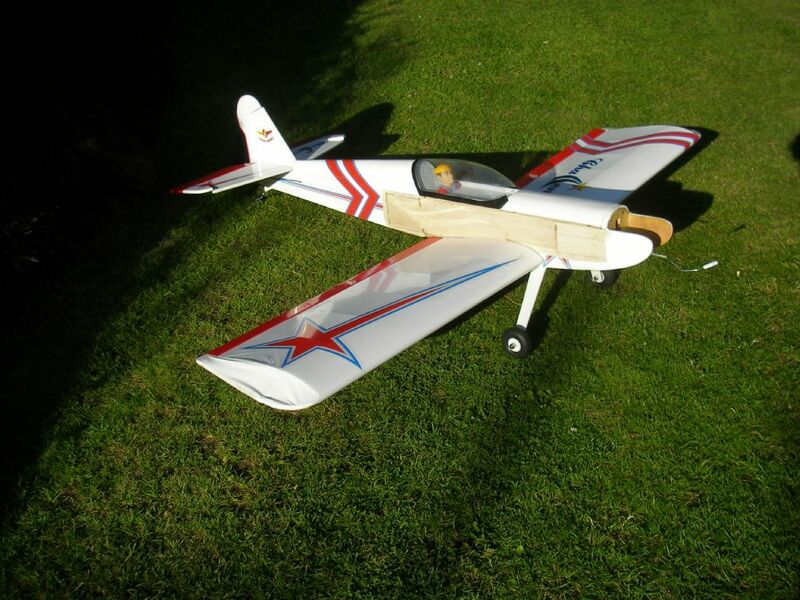 I have not read all these comments but wonder what affect the sophisticated gear that has been suggested will be fitted at Heathrow and Gatwick airports to down drones will have on nearby RC clubs and model planes ?.I can think of one club that is very close to Gatwick airport. Cascamite, I can remember that glue we used it at school for our woodwork projects. In my first year at a Senior school I was given the job 'Glue Monitor' by our woodwork master. During one of the master's demonstrations he asked me to get the huge tin of Cascamite from the glue cupboard. Someone had left the lid on the tin loose so of course I dropped the tin and most of the white glue powder finished up on the floor. The other glue we used was made so we thought of horses hoofs and this glue had to be heated up and smelt awful. 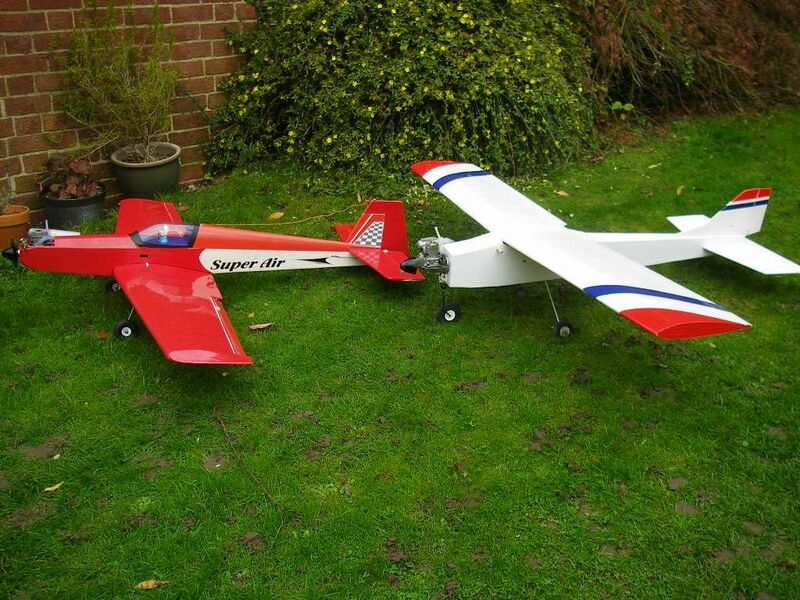 As for Veron Models i still have a Mini Concord that needs refurbishing but other planes are likely to take precedence. I will not let my planes or any I am given die !. Some good responses here Pete and I must admit that one of those heaters would be ideal in my garage where i build / repair my planes. There is a concrete floor in garage and when the weather is cold it's usually my feet that suffer first despite warming the garage up with electric radiant fires. 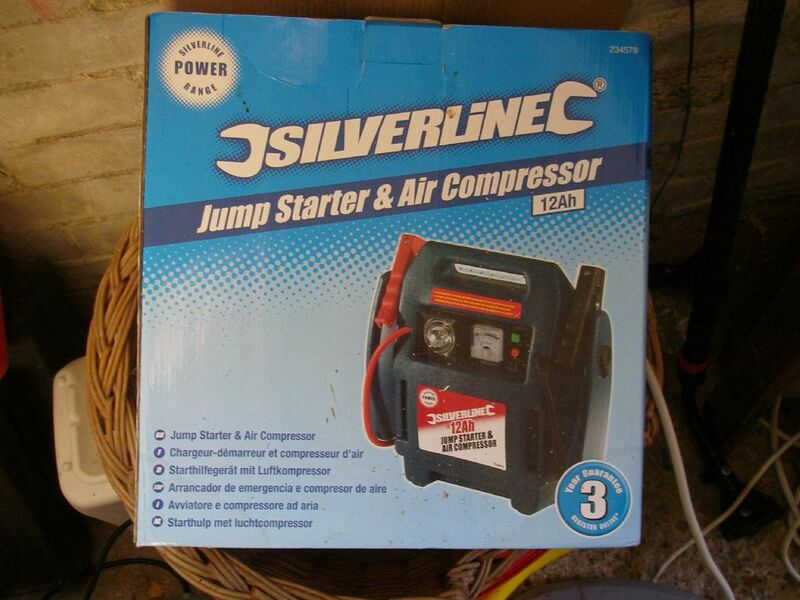 With regard to the 12 volt DC supply for the Diesel heater I wonder whether the Car starter / tyre inflater I have got with a 12 Volt socket would have sufficient capacity to do the trick, but it's only 12 ampere / hour rated ? Great photos Alan , and thanks for the responses all. 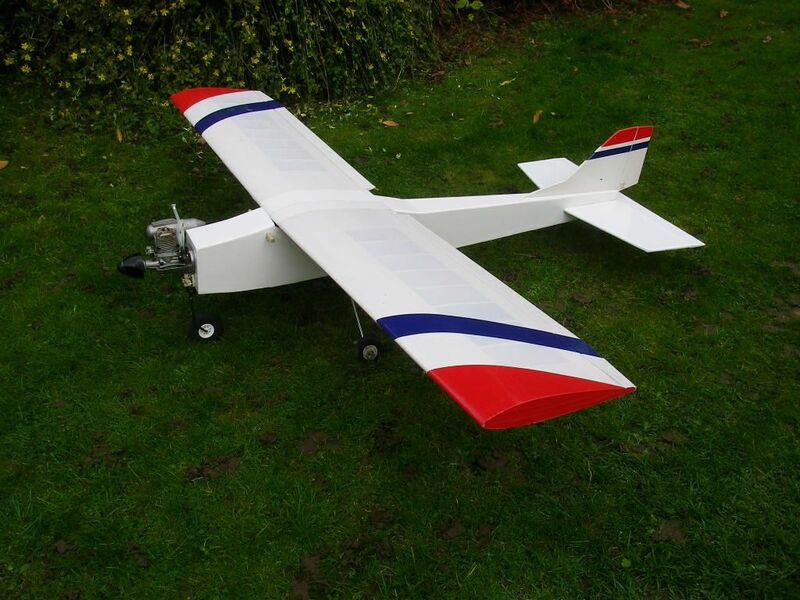 I briefly flew my Flair SE5A this year and that certainly needed rudder input with ailerons on the turns which is something I have not practised much in the past, so I intend to use the technique in future with most planes, and will need to use a transmitter tray for comfort in the process. 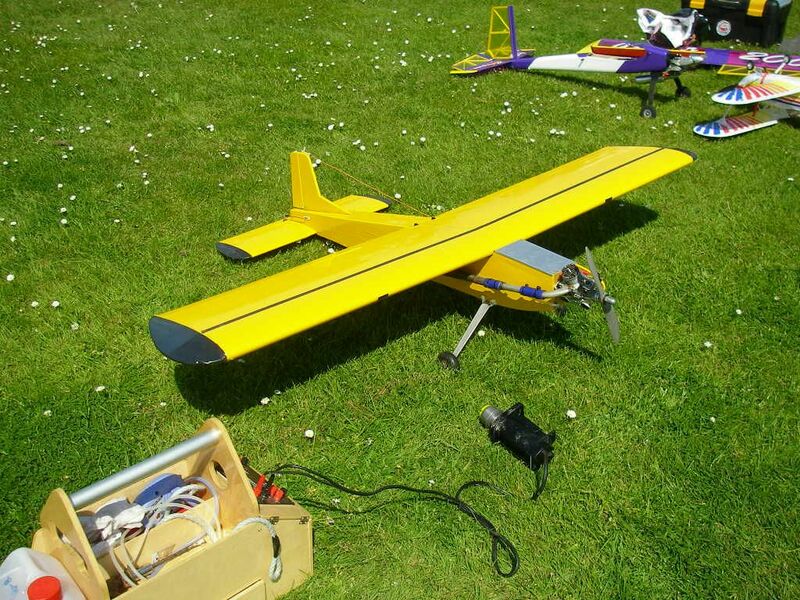 Mixing ailerons with rudder up to 25 % was discussed with a colleague prior to the club AGM, but I do understand there are objections to that set up.. It would be nice to at least re-cover and refurbish the fuselage so I can at least take some pride in the plane and not feel embarrassed at the flying field. 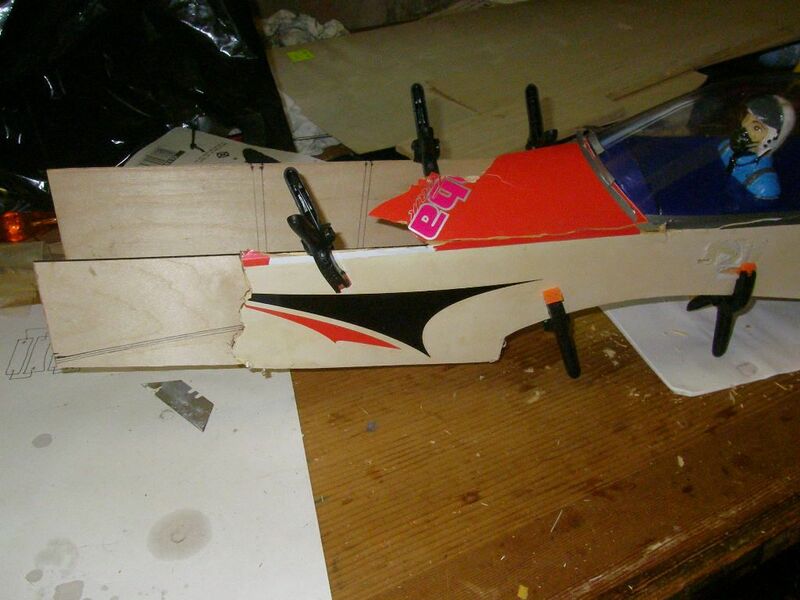 As for the aileron gaps just to fly the plane I could just cover over them otherwise it's a case of cutting through and replacing the existing hinges with some Kevlar material or similar, and releasing and re-fixing the ailerons from/ to the torque arms. As is fairly evident the edges of the ailerons where they are attached to the wings are not suitably profiled. 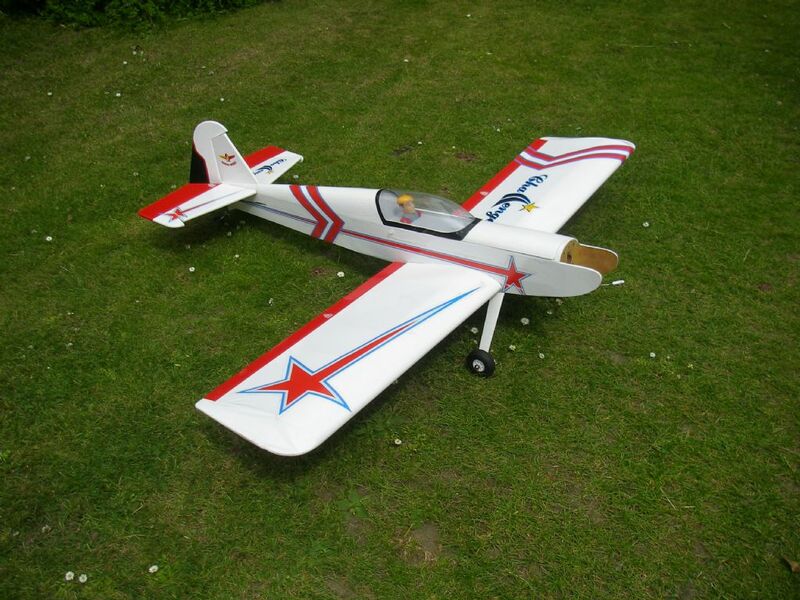 I went to a club's AGM and 'Bring and Buy Sale' on Monday knowing that the last thing I needed was another plane. The sale commenced at 7.00 PM and the AGM an hour later. I could have missed the sale by turning up late but then car parking would have been awkward. There were not a lot of items in the sale but most were low priced and three items in particular caught my eye. There was an immaculate Majestic Major complete with engine and radio for £65, which was very tempting but I already have a KK Falcon . There was an equally immaculate veteran model with a Spark Ignition engine for £95, and the general feeling was that the engine alone was worth more then that. 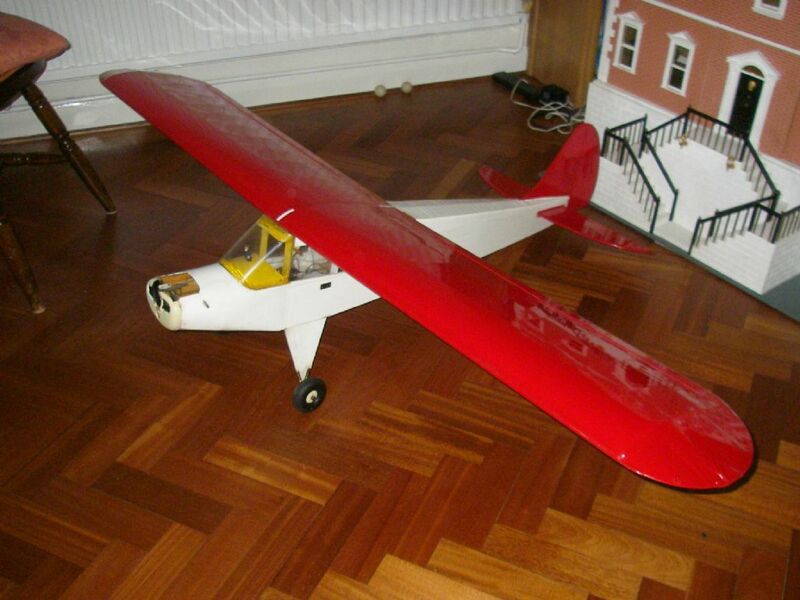 Next in line was a Piper Cub for £16, what a bargain I thought and how would I get it past my wife at home? The plane had no engine or fuel tank. 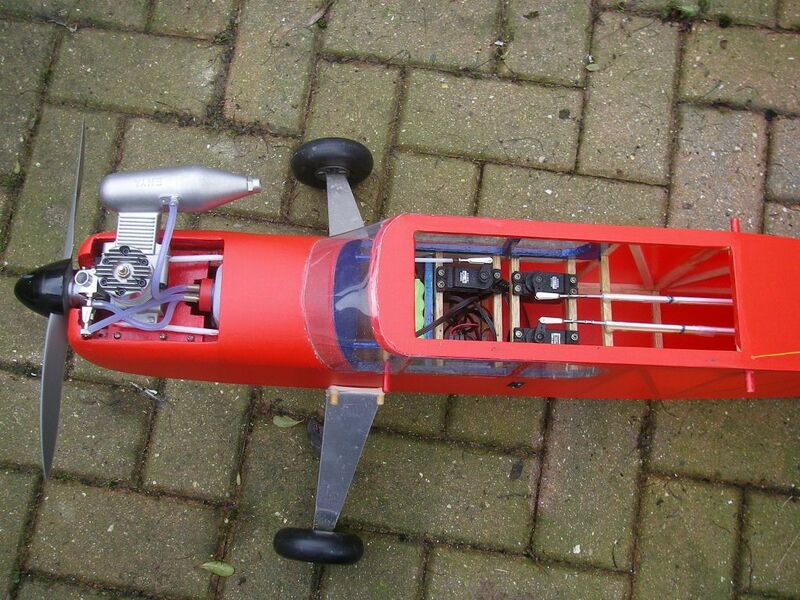 There was one servo only fitted and a 35 mhz Hitec receiver inside plus a Nicad battery. 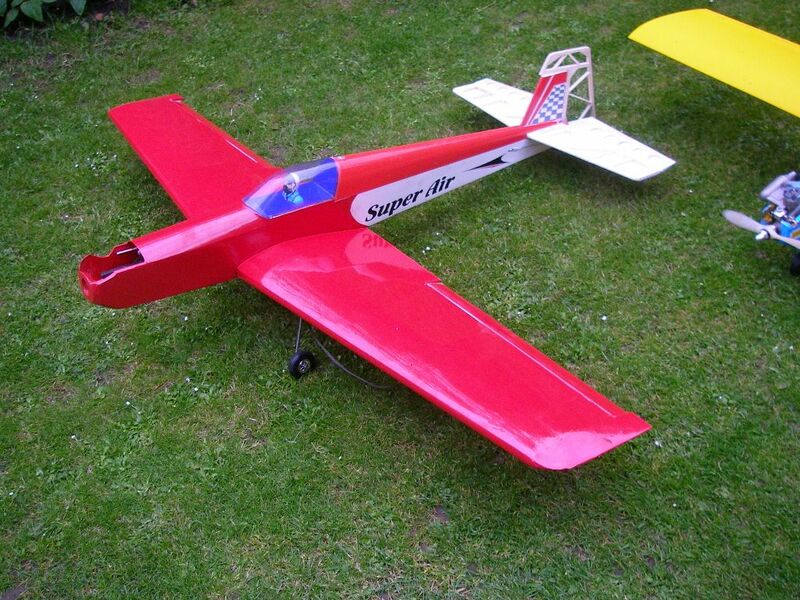 It occurred to me that the plane would be ideal for an SC 52 four stroke I have owned for ages but never used. So I bought it and quickly stuck in the back of my car and after the meeting took the plane home. Once my wife had gone to bed I extracted the plane and the attached plans for a thorough inspection, oh dear!.The plane in fact was a Semi-Scale Flair Cub.The constructor (Deceased I think ?) 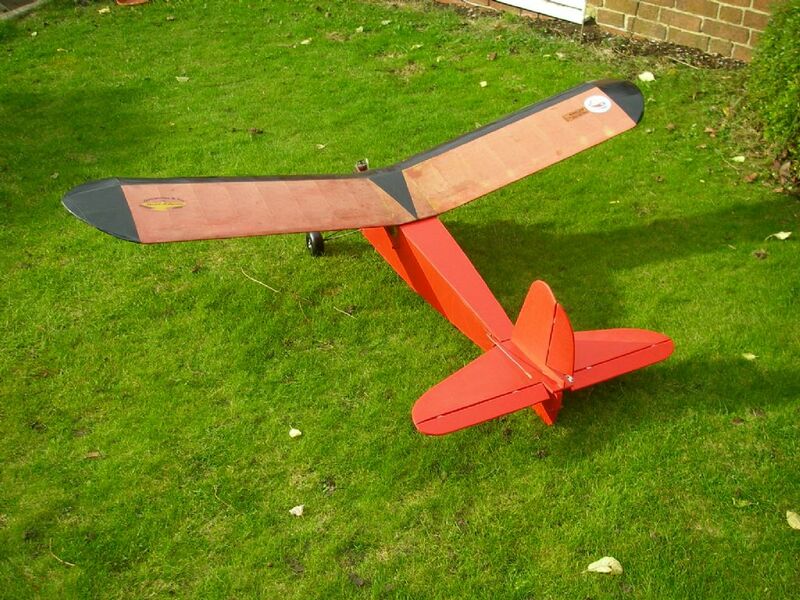 generally had not made too bad a job of putting the plane together, but the ailerons had gaps with the wings that appear to be far too large so will need to be re-fitted. 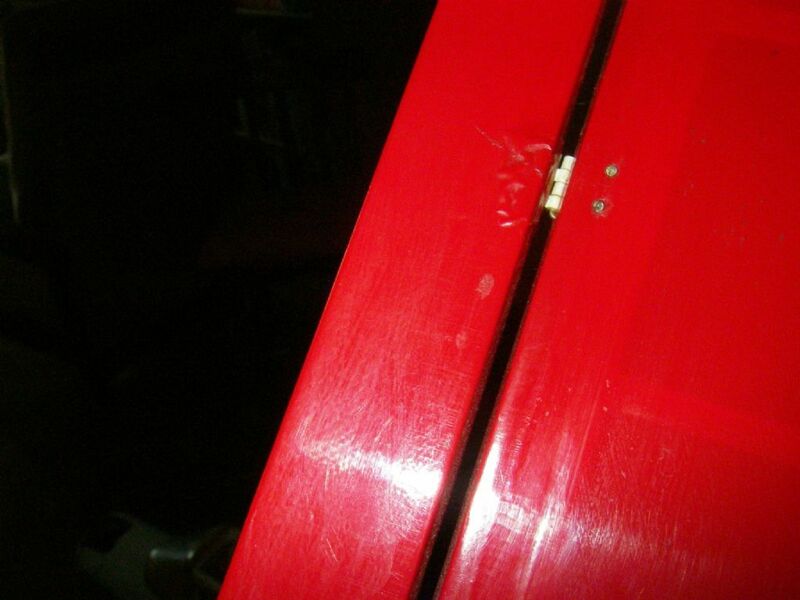 Unfortunately the hinges have been pinned in place. The covering is OK on the wings but the fuselage covering although not ripped is scruffy partly due to the top layer not being ironed on last. The covering procedure is usually bottom first then the sides and then the top. The Cockpit covering looks a bit of a mess and there is a miniature Postman Pat and his Black and White cat glued in place instead of a pilot ! There are no hatches fitted at the front of the plane and the whole of the thin ply cowling is glued in place so fixing the engine to the wood bearers could be tricky especially if the bearer spacing is inadequate. The plane will of course need new radio. Well of course it could be a good winter project, I would have liked it to be in Military colours but for £16 perhaps what the heck! Anyone flown a Flair Cub , I would be interested in a report ? 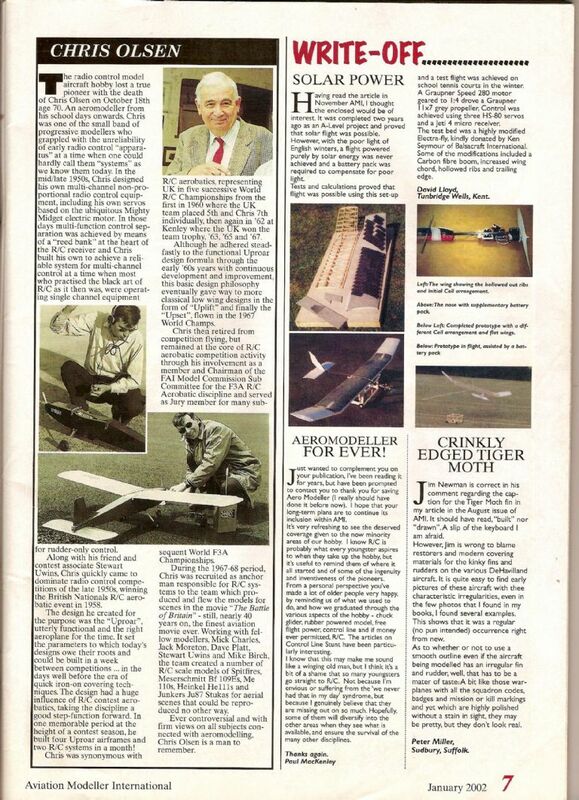 Yes it was Chris Olsen who had a major input in the model flying sequences in the film 'the Battle of Britain''. Of course there is also high voltage static electricity. When my children were young my wife was sold an old Maclaren Buggy. The braking system was so worn out that the brake pads would always rub on the mechanism which would charge up the Buggy frame with static electricity so that my oldest son's hair would stand on end if he was sitting in the Buggy. If you touched the frame then you would get an almighty belt (shock) so after a particularly high shock I bent the brake mechanism so it could not work!